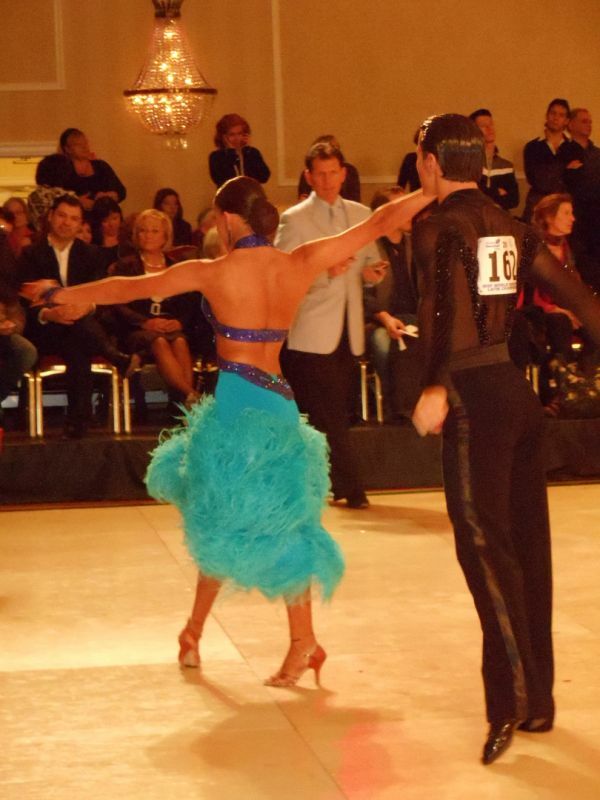 ← Benefits of Ballroom Dancing that You had No Idea About! The Feet May Learn the Steps… But Only the Spirit Can Dance!!! The largest complaint I hear, by far, amongst ballroom dancers is that something about their dancing doesn’t “feel” right. They want to swoosh and flow and wiggle like the big boys and girls, but some things (for most – a lot of things) feel unnatural and awkward. These comments are not made to me by beginners, these are students and professionals alike who’ve taken lessons and been competing for years! Below is THE single ingredient that most people require to reach their goal. It’s one of those “many seek, but few shall find” type of thing, so grab a hold of this concept. You can save YEARS and $$$ with what is professionally explained below. Get ready to send your dancing through the roof! I had been teaching for about 4 years, when I hit a huge plateau in my learning. No matter who I coached with, no matter how hard I would work, or how long I would practice, I just couldn’t get the slightest gain in improvement for the next 3 years. I was getting so frustrated at trying so hard for so long and seeing no results. It was ruining any semblance of enjoyment. Then came my final trip to the Ohio Star Ball. I had just finished watching the International Latin Finals. At the end of the cha cha, Billy Sparks did a cha cha lock toward the crowd with tons of energy, it knocked us back in our chairs. All pumped up from the show I returned to my hotel room, went to the mirror and did my best Billy Sparks imitation. I exuded all the attitude I could muster and this big fancy arm movement (OK and yes, even the “SSSSSSPPPPAAAAAAAAA” noise International Latin dancers are known for). The Funny thing was, when I saw myself in the mirror, I thought “Hey, that wasn’t bad, in fact, it looked GREAT!!!”. Granted I didn’t do Mr. Sparks much justice, but for me it unlocked a great mystery and ended all my dance frustrations. At that moment I learned what I did wrong with all my practices and coaching. I spent all my time thinking of how I was doing something and no time feeling it. When I danced from my heart and turned my brain off, I could do everything I had been taught and more! No more stick arms, no more robot-like movement, only the music and the movement, ah heaven! So next time something doesn’t “feel” right, make sure you’re feeling the movement and not thinking about it. It can make all the difference in the world and if nothing else will make you enjoy your dancing regardless of the outcome. This entry was posted in Ballroom Dancing and tagged ballroom dancing and mental state, ballroom dancing psychology, dancign from the heart, dancing psychology, how to dance with clear mind, psychology of dance. Bookmark the permalink.